Pink flowers are soft and romantic looking in a garden bed. They are often seen in cottage gardens and there are so many varieties of them that it’s hard to pick favorites. I am a romantic at heart. One would never think it to look at me. I’m a rugged girl and my nails usually have dirt under them from digging in my garden. But I love girly romantic things – especially pink ones. Having something pink in my garden is no exception. A garden with pink flowers just cries out “English Cottage Garden to me” and seems so soft and feminine. With so many shades of pink available, one might think that they would clash in the garden, but this doesn’t seem to be the case. 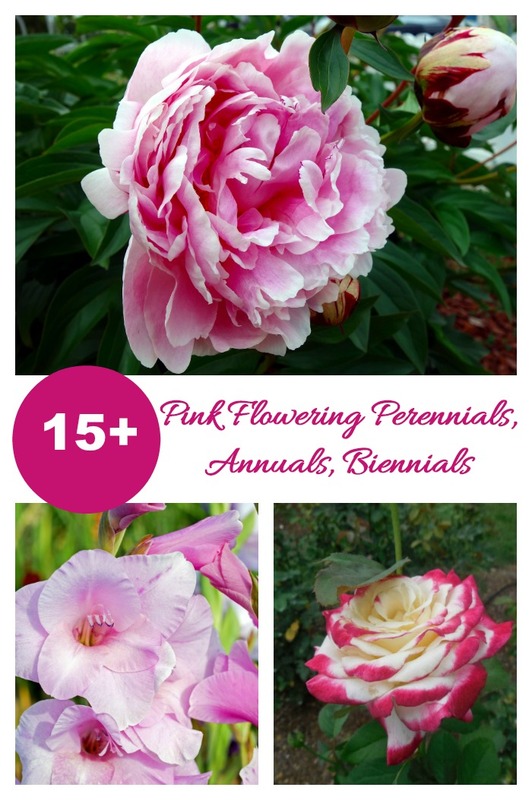 All types of plants, from perennials, to biennials and annuals all offer shades of pink flowers to choose from. Which is your favorite? 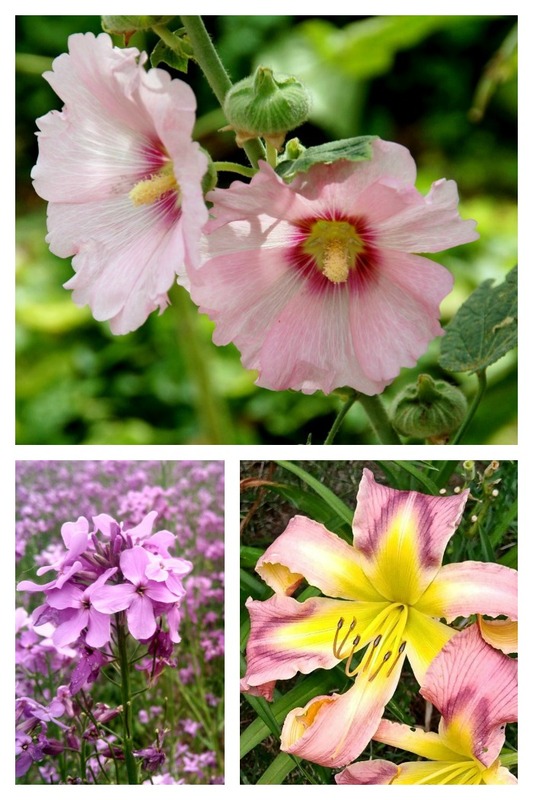 Here are some images of pink flowers that are favorites of mine. 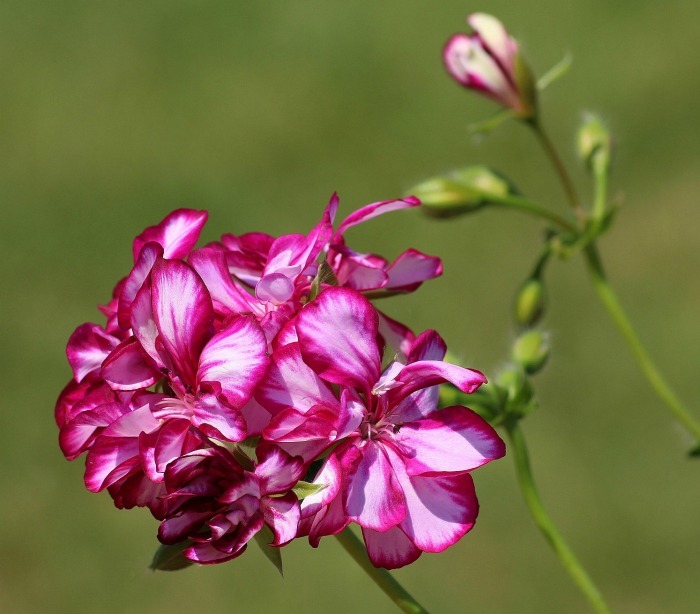 Sweet William – The smaller pink flowers of Sweet William comes in so many shades of pink that there is sure to be one to your liking. The smaller plants have a mounding habit. The taller version has larger flowers. These not as winter hardy but have a gorgeous flower clump that makes it worth trying to grow. 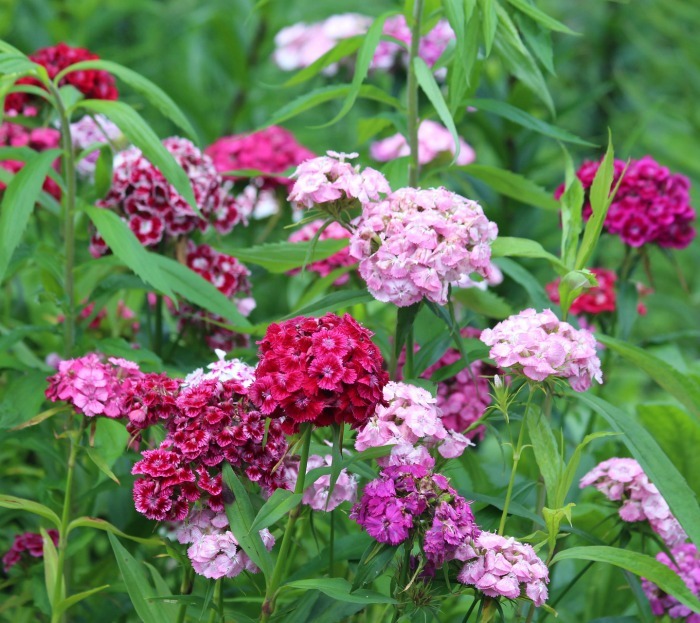 See my tips for Sweet William here. 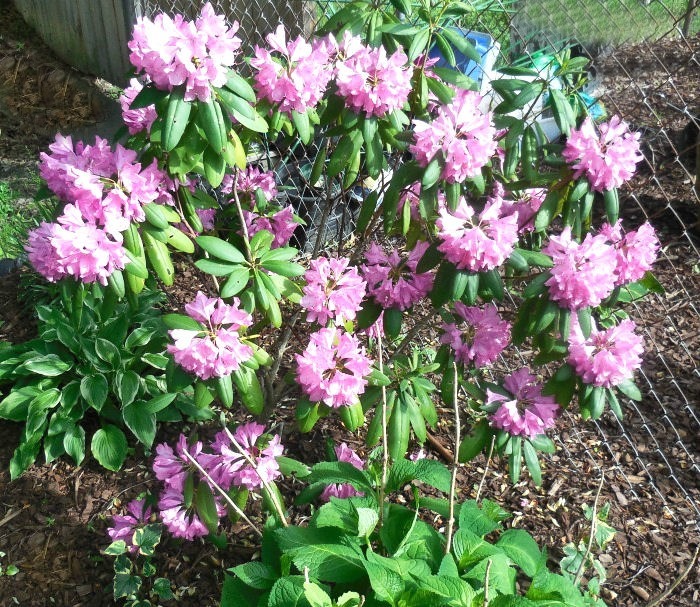 Rhododendron – If you are searching for a shrub with pink flowers that will be a focal point in a garden bed, try growing rhododendron. This perennial gives me a magnificent show every spring. 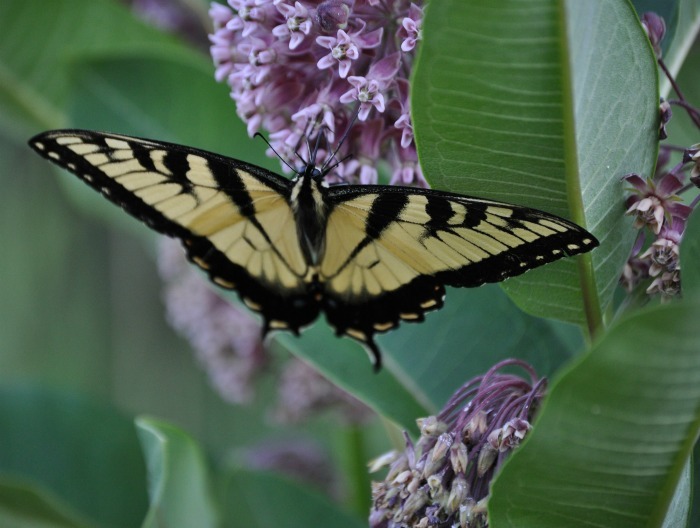 Butterfly Bush – If you want to attract Monarchs to your garden, try growing Butterfly bush (buddlea). This plant is a magnet for them! Butterfly weed and Joe Pye Weed are also good choices. Geranium – This pink geranium is an easy to care for summer annual that has big vibrant blooms all summer long. My mother grew geraniums every year in pots that she had on her patio. They also look great in the garden but are not winter hardy in most zones. They are still worth growing for the show they provide though! 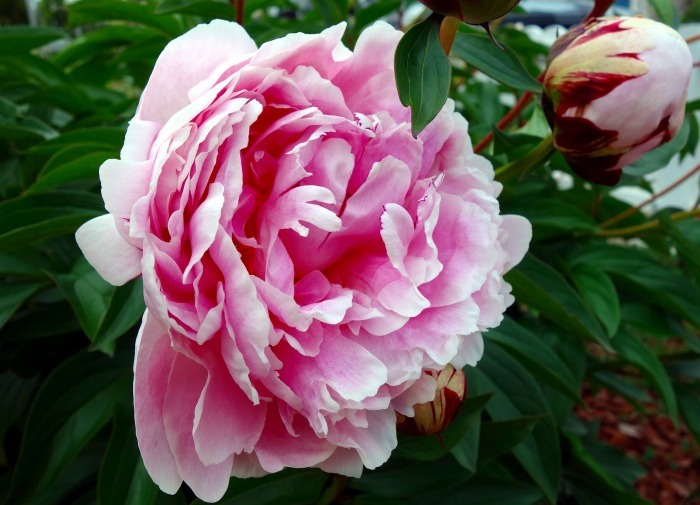 Peony – Cottage gardeners are fond of peonies because of their magnificent blooms. This one has shades from pale pink through to a vibrant hot pink. What a garden star! 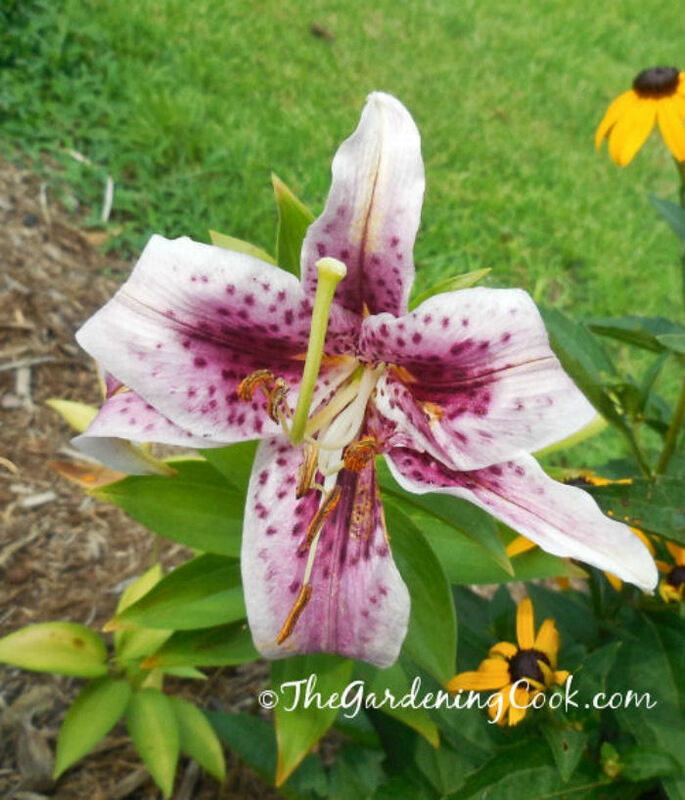 Oriental Lily – You may only get a few weeks of this amazing lily every spring, but it is worth growing such a magnificent bloom to get a flower like this in your garden! See more pictures of lilies in my garden here. 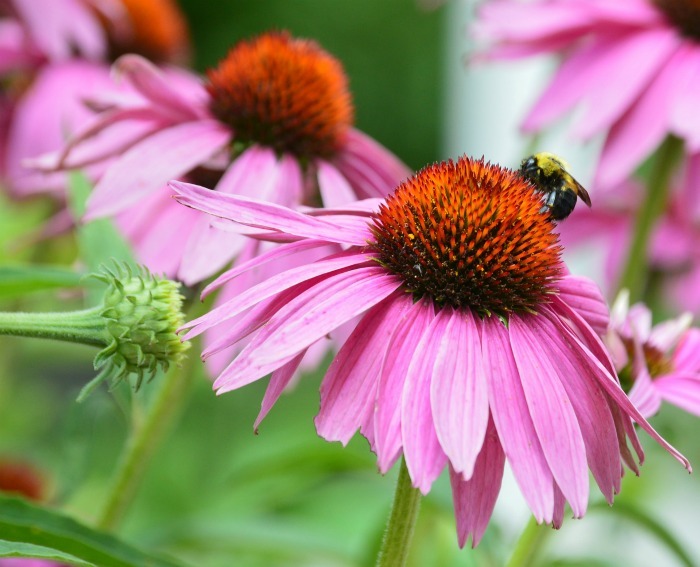 Coneflower – If you want bees in your garden, try growing some coneflowers. The bees will love to feast on those mounds of orange that sit atop the bright pink petals. Be sure to leave the flower heads in the fall, too. The winter birds love them! 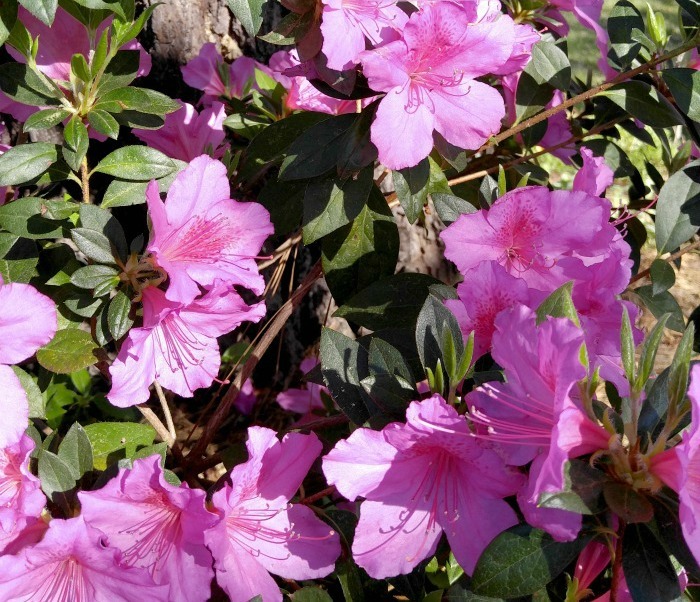 Azalea – If you have ever taken a trip in the South in early spring, you’ll likely have seen masses of azalea bushes lush and full with their pink flowers. This pink flowering shrub should be pruned after flowering since the buds for flowers next year will be setting right after that. 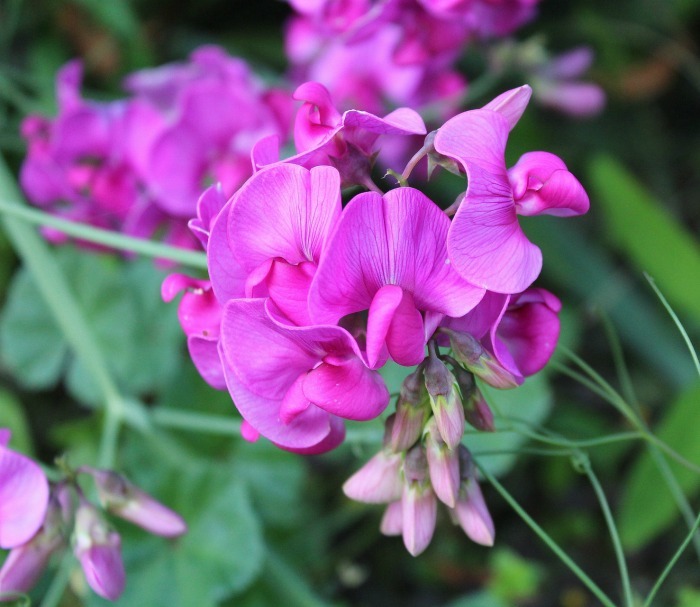 Sweet Peas – This summer flowering annual grows up to 24 inches. It has a vining habit much like garden peas and a lovely scented flower. Each petal looks almost like a tiny iris! Moss Verbana – This pretty perennial will grow to 1 foot tall. It has spreading stems with beautiful pink flowers. Daylily – Pink lily flowers are stars in a garden bed. 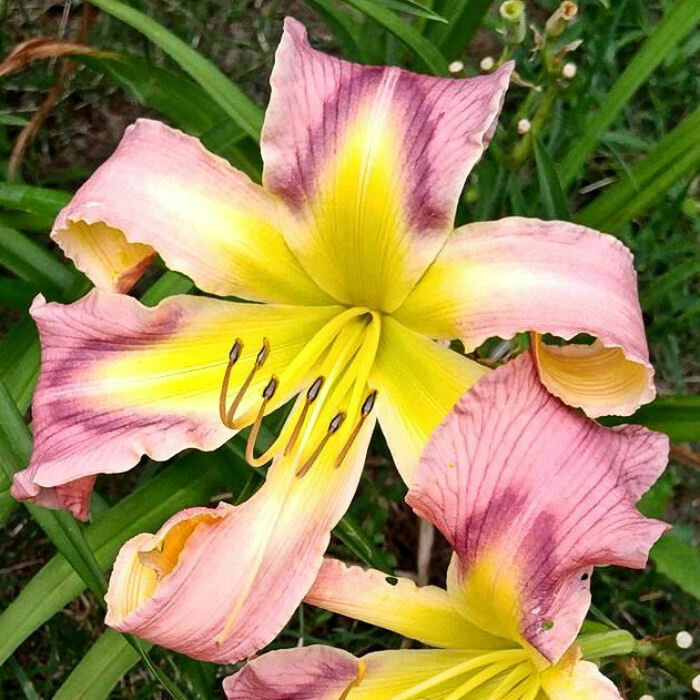 This variety of daylily has pink curled petals with a yellow throat. 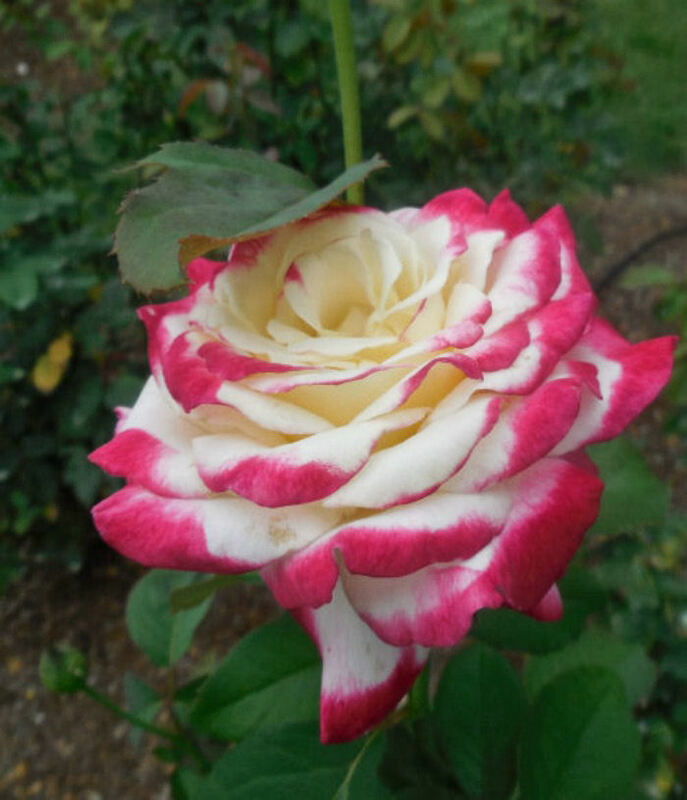 It is called Earth Wind and Fire and is a stunner in the garden. It is a perennial that comes back year after year. See my growing tips here. 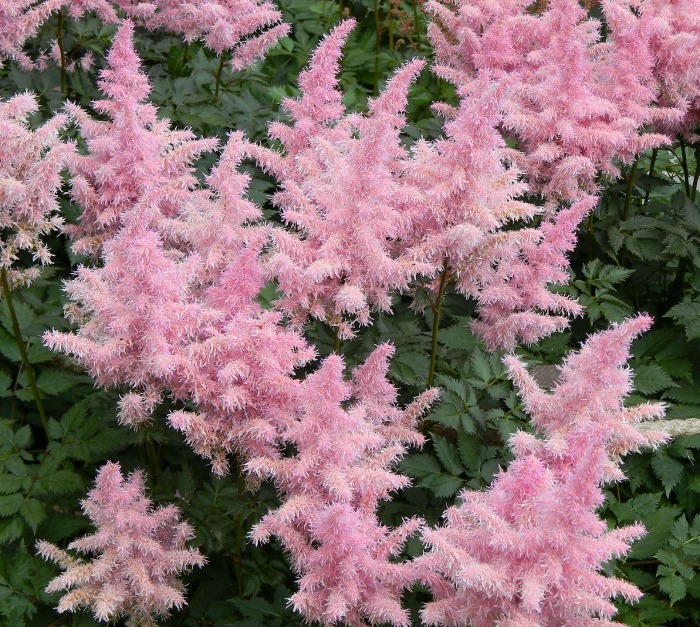 Astilbe – Pink flowering plants can be found in shady garden spots, too! This shade loving perennial is also known as goat’s beard. It is easy to see why when you look at the shape of the flowers! See tips for growing astilbe here. 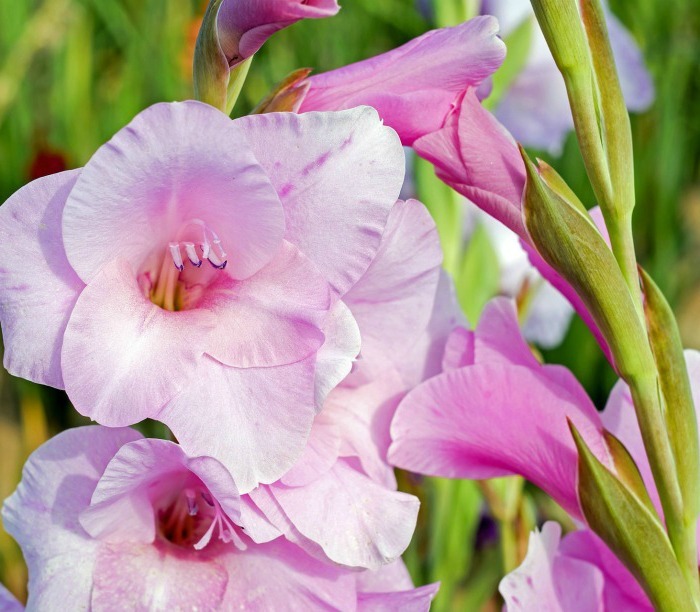 Gladiolus – This summer flowering perennial bulb is prized for its showy blooms. They make wonderful cut flowers. The taller varieties need staking in the garden bed. See growing tips for gladiolus here. 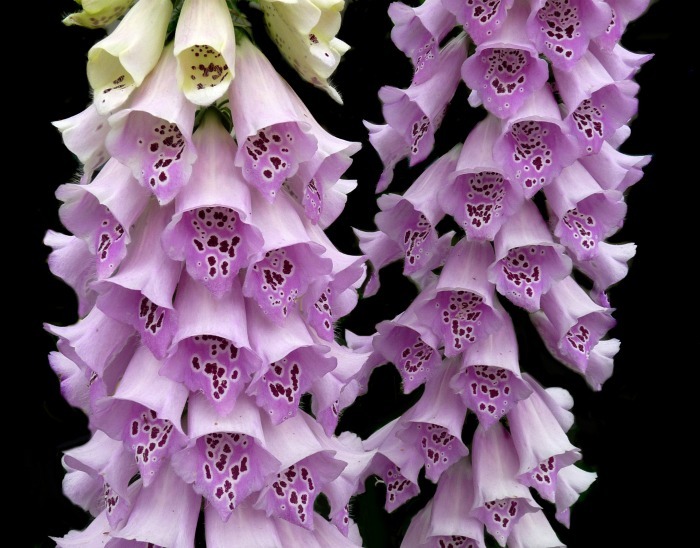 Foxgloves – This biennial has a two year lifespan but is a rampant self seeder so you are likely to always have in it your garden after starting with one plant. Both hummingbirds and bees love this plant. See how to grow foxglove here. 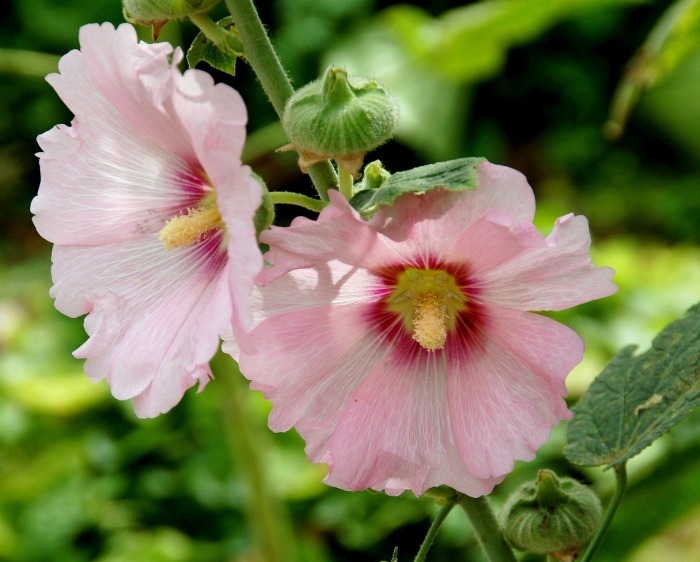 Hollyhock – If you are looking for soft and romantic pink perennial flowers, you can’t beat hollyhocks. This pretty summer flowering perennial is often seen in cottage gardens. 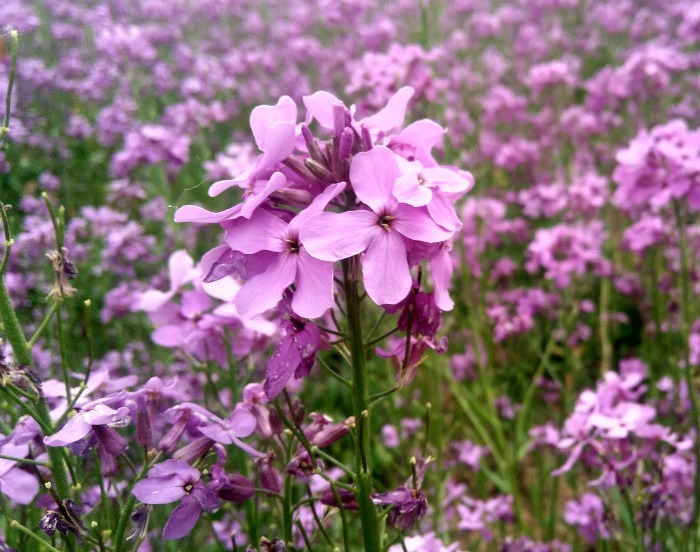 It is easily grown from seed and very showy. See how to grow hollyhocks. If you are a romantic at heart, try a few of these perennials, annuals and biennials in your garden this summer. Their pretty colors will delight you. Need a reminder of this post later? Pin this image to Pinterest so that it will be handy for you. I live on the middle of the west coast of Florida, what are the best flowers to plant that bloom the longest?